Google continues to refine support for its core ad business with refinements to Google Analytics and the expansion of Home Service Ads. It’s also been cracking down on unethical practices recently, sending out manual action penalties on blog posts with gifted product reviews that didn’t nofollow links and terminating publisher accounts caught “clickjacking”. In a bold move, Facebook is pitching Messenger as a platform. With the launch of Messenger bots, businesses can now automate several direct interactions with customers. CNN and Fandango have already jumped aboard. 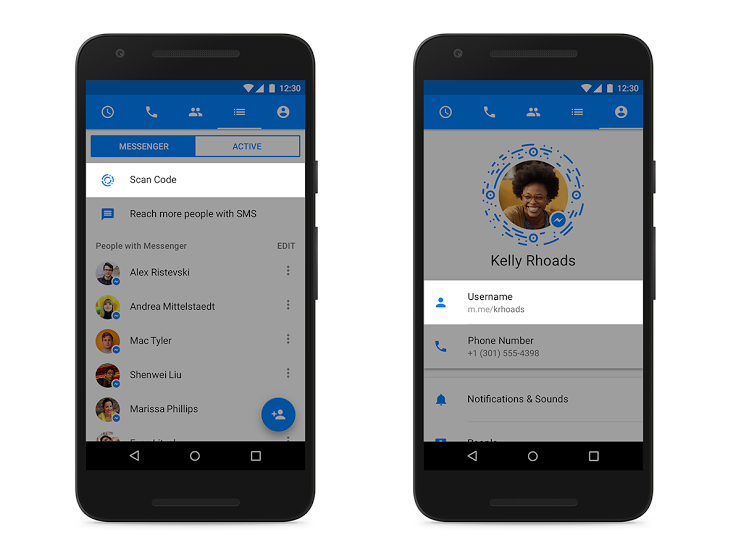 And with the release of Messenger Codes, Usernames, and Links, it’s clear this is only the first of many big moves to come. All this and more from the big news last week! Google Analytics was updated with a new feature and improved AdWords reporting capabilities. The new User Explorer Feature allows webmasters and site owners to see anonymized visitor interactions across their website. The new User Explorer feature and AdWords reporting updates are rolling out to all users over the next few weeks. The most recent Google Analytics update added more AdWords reporting capabilities, including the new AdWords final URL Dimension and a Sitelinks report in the AdWords reports section. Google sent out outbound linking penalties to webmasters who didn’t nofollow links in product review blog posts. This comes a month after Google warned webmasters, bloggers, and site owners to disclose if they are reviewing gifted products, and updated the Google Webmaster Guidelines accordingly. Google will soon roll out a new tool that lets small businesses find out how to make their websites mobile-friendly. Test My Site with Google launches in May, and is built specifically for small business owners are not as tech savvy. Users of the tool will enter their website URL to get a diagnostic check, and will receive recommendations to make their website more responsive. Google is also expanding availability of Home Service Ads to more business owners. Previously, Home Service Ads were available to businesses like plumbers, locksmiths, home cleaners in the San Francisco Bay Area. Now Google is expanding the ads to Sacramento, California and are adding HVAC services and electricians to the service. Google improved its defenses against “clickjacking,” a web attack where the appearance of a website is changed to deceive users into clicking an ad. Earlier this year, Google’s operations team detected clickjacking activity on the display network, and promptly terminated the accounts responsible for it. The engineering team quickly released a filter to automatically exclude this traffic across display ads. Facebook came out with a slew of new developer tools and features at the F8 conference last week, the most notable of which revolved around Messenger as a platform. With the launch of “bots for Messenger,” Facebook is giving businesses the tools to build their own Messenger bots to interact directly with customers. The platform allows for various kinds of interactions, including: automated subscription content (e.g. weather and traffic updates), receipts, and shipping notifications. Launch partners include CNN, Fandango, 1-800 Flowers. Facebook is also allowing users to block and mute conversations they don’t want to receive, and has outlined strict policies and review processes to avoid spam. The launch of bots with Messenger comes after the previous week’s announcement of new discovery tools for the platform. Messenger Codes let users and brands share a custom code they can post online, in-store or in marketing collaterals that others can scan to automatically start a Messenger conversation. Messenger usernames and links work on the same principle, creating customized links that directly open to messenger threads for that person or business. Facebook also released new sharing tools along with new tools to measure those interactions. Quote Sharing lets users share quotes they find in apps or websites, and is supported in Android, iOS, and mobile and desktop web pages, along with a plugin for websites. Hashtag sharing lets developers suggest a hashtag when sharing from an app. Lastly, the Save Button brings the save feature to sites outside of Facebook, and helps users save sites to a private list on Facebook. These sharing interactions can then be measured with Facebook Sharing Insight, which gives web publishers anonymous, aggregated information on the number of people discussing their link on Facebook. Facebook has made managing video content easier with the release of Rights Manager and support for Crossposted Video posts. Video Publishers that manage several pages can now also crosspost across Pages owned by the same Business Manager. Page owners can give other Pages in their Business Manager account permission to reuse a video. Once granted permission, those Pages can create new posts with the video without having to re-upload it. This is rolling out alongside total performance insights for videos, which gives publishers an aggregate view count for crossposted videos. That’s it for last week! Subscribe below, and start your week with a roundup of the biggest industry news.